Holiday Catalog Fun with Stamp N’ Hop! Hi Friends! 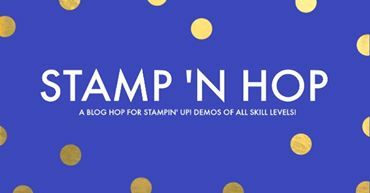 Welcome to another round of Stamp ‘N Hop blog hop where demonstrators from around the world all get together for one cause: to inspire you! This month we are having fun with new products from the Holiday Catalog. 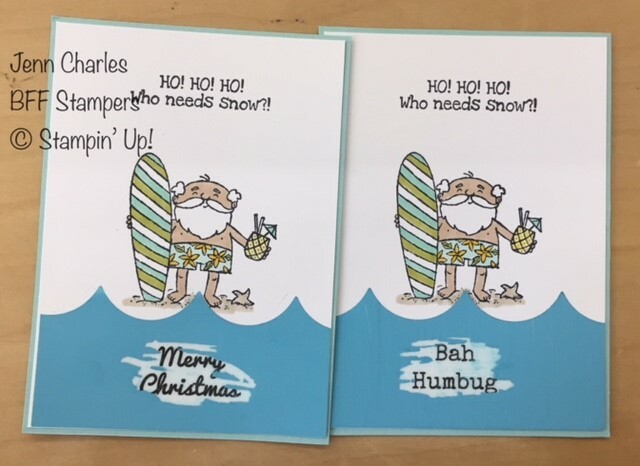 I chose to feature the stamp set So Santa which has a Santa that is whimsical and fun doing unconventional santa things like baking, motorscooting and my favorite, surfing! We had a Holiday Extravaganza to kick off the new catalog and half the attendees received a gift. The way we decided who would win was by these adorable scratch-offs! They were so fun and easy to make. Using the Seasonal Layers Framelit Dies to cut the wave shape and then peeled off the back of the contact paper and stuck it onto the cardstock. I hope you do give this homemade scratch-off a try. It is such a fun technique and a real wow to the people who receive it. 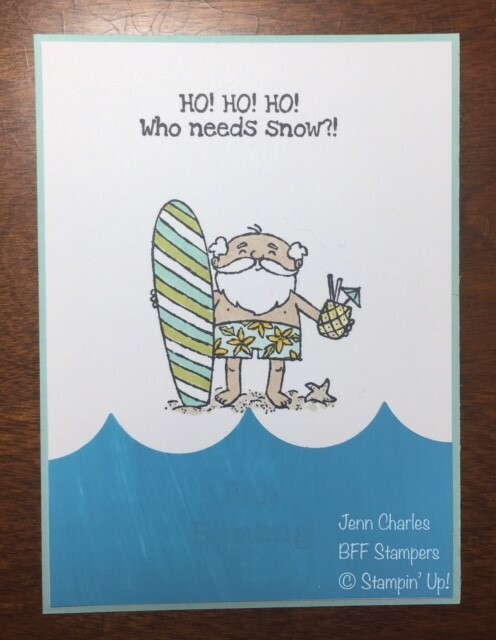 You are visiting Jenn Charles at BFF Stampers. Please continue to hop along and be inspired by all the demonstrators participating in the hop this month.